Is this more Thelma & Louise or The Heavenly Kid? Dunno, but I have no problem borrowing from the greats. 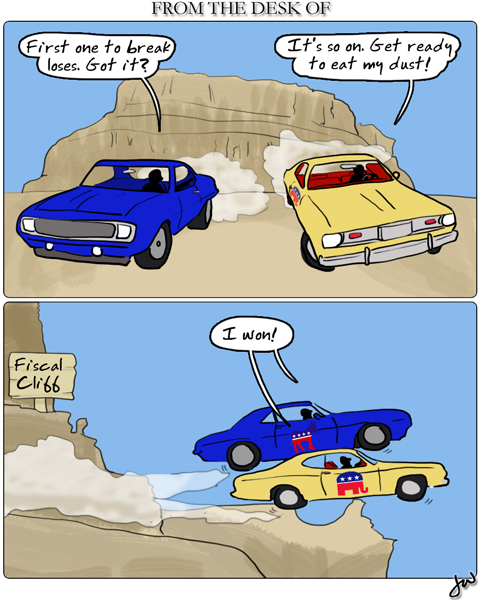 This entry was posted on Thursday, December 6th, 2012 at 9:29 am	and tagged with cars, mistakes, politics and posted in cartoon. You can follow any responses to this entry through the RSS 2.0 feed.